What does video tool Vine have in common with iconic rappers like the Beastie Boys and the Notorious BIG? More than you think. Like hip-hop, Vine is a way to sample and collect culture — and it may have to run the same legal gambit that rappers did a decade ago. If you haven’t tried it, Vine is a tool to make looping, six-second video clips and post them on social media or a website. The company, which is owned by Twitter, launched in January and its videos have already become a part of the Tribeca Film Festival, the U.S. Senate and major marketing campaigns. Vine exists because of new smartphone technology but it also replicates older forms of mashup culture. In particular, it mirrors what pioneering hip-hop artists started to do in the 1980s — taking sounds from myriad sources and sharing them through records like Paul’s Boutique and Ready to Die. Those hiphop records are aural tapestries that today stand as monuments to a new form of music and community. In the 2000s, however, copyright collectors came along and sued the rappers — resulting in a drawn-out debate over where to draw a line between culture and intellectual property theft. Hip-hop largely prevailed but was damaged in the process. Now, a fight over a Vine video last month suggests history may repeat itself but this time, on the video front. The dispute involved the musician Prince using a law called the DMCA to force Vine to take down six-second concert clips posted by a fan. The fan didn’t oppose Prince’s takedown demand, meaning no one has ruled on whether a six-second clip actually infringes copyright. But if a court did look at the Vine case, the decision process would lead right through hip-hop. In the 1990s, hip-hop artists called the sounds they use “samples.” Copyright owners, however, called it theft instead and sued the musicians. The conflicts led to important court decisions about music, but whose principles apply equally to Vine. As the Disco Project explained in a thoughtful analysis of the Prince case, the most relevant precedents involve the Notorious B.I.G. and the Beastie Boys. Both were involved in famous cases involving short samples. 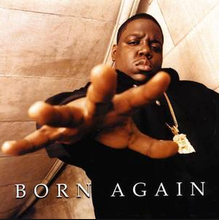 In the case of the Notorious B.I.G., a Tennessee court shut down store sales and radio plays of the late rapper’s “Ready to Die” album, and a jury awarded $4 million in damages — all over a three note horn riff. An appeals court, which had earlier written “get a license or do not sample,” upheld the verdict in 2007. As law professor Tim Wu explained at the time, the case and others like it were especially absurd because the copyright owner was not even a musician but a one-man corporation who had obtained the music rights under shady circumstances. Fortunately, in the case of the Beastie Boys, a California appeals court took a more rational approach to the issue and ruled that a six second (the same length as a Vine video!) flute sample on the song “Pass the Mic” didn’t infringe on copyright. The Supreme Court, in 2005, refused to reconsider the decision. The upshot, however, is that today we still don’t know for sure how long a sample can be before it infringes copyright. Twitter declined to comment on whether it believes Vine videos are covered by copyright law’s “fair use” exception, but a source familiar with the company told me that the decision to make the videos six seconds long was not a coincidence. The trouble with Prince’s request to take down the Vine videos is not so much the disappearance of the videos themselves — but instead that Vine and other forms of visual expression could meet the same fate as early hip-hop. When the Beastie Boys released their sample-stuffed 1989 masterpiece, Paul’s Boutique, the law was still in a gray area and no one was suing hip-hop artists. That’s no longer the case. As copyright scholars have explained, the threat of lawsuits and the astronomic cost of clearing samples means, today, no one could make an album like Paul’s Boutique in the first place. And that’s the danger posed by Prince. Right now, we’re enjoying a rich new age of images — everything from Vine videos to BuzzFeed cat GIFs that are shared, recast and then shared again. If lawyers began to throw copyright grenades into this mix, these splendid strains of creativity could be quickly snuffed out. Does this mean that all Vine videos should be fair use? It’s hard to say. People are already using the platform to produce clever and original works of art — the sort of thing copyright law is meant to reward. Likewise, big companies who use Vine for marketing have a case for using intellectual property law to protect their brands. It seems inevitable that these issues will get resolved sooner than later. “The upshot, however, is that today we still donâ€™t know for sure how long a sample can be before it infringes copyright.” How is that an upshot? (And, it’s false). You cannot get away with stealing 0.1-5.9s of a sound recording. Anything uploaded to YT is considered a public performance, the same will undoubtedly apply to Vine. As Tubal noted in an excellent post elsewhere in the comments, there’s more than one copyright at stake, and the implication that Prince is going after some fan who posted a GIF on a video website is both completely unfair and factually incorrect. Furthermore, copyright is intended to promote original works, not derivative works; a distinction that’s well understood by writers and publishers, but often misunderstood by music consumers and deliberately obscured or misrepresented by those who profit from the misappropriation of intellectual property. Compare and contrast the derivative nature of Vanilla Ice’s use of the hook from Queen’s “Under Pressure” on his “Ice, Ice, Baby” with the more transformative uses of prior recordings/samples found on the Beasties’ Paul’s Boutique, on which the fellas also actually played instruments.It illustrates the old maxim that good composers borrow, and great composers steal. It is material to the analysis because the de minimis defense applies to musical works, but not to sound recordings. Your brief mention of the Beastie Boys case implies that the court found that a six second sample is legally defensible, when in fact it was a four note taking from a musical work (rather than a six second sample of the sound recording) that did not infringe. The statement that â€œThe dispute involved the musician Prince using a law called the DMCA to force Vine to take down six-second concert clips posted by a fanâ€ is incorrect. The DMCA takedown notice does not force Twitter to take down the clip. A takedown notice canâ€™t be enforced against an ISP like an injunction from a court. All a takedown notice does is remove protections against liability for the ISP, in this case the Vine, for any possible infringement that may occur on their site without their knowledge. The takedown notice provides knowledge of a claim of infringement. The Vine could leave the posting up if it chose, but by doing so it could find itself as a defendant in an infringement suit. In this case it is probably one that they would win. But the Vine is a business that made a decision that it was better to simply remove the clip and the possibility of having to defend itself in court. I personally think there may a shaming aspect at play here against Prince in that the Vine may have determined that taking the clip down, and publicizing the notice, may produce a more immediate and effective disincentive to Prince than any court decision. In any case, the Vine was able to leave the clip up if it chose. I think it is far more proper to say that Prince used the DMCA to â€œcompelâ€ (as opposed to â€œforceâ€) the Vine to take down the clip. It is entirely possible that some ISPs will see a business benefit in defending such likely fair uses in the future. Such an ISP would have that choice; a DMCA notice does not force an ISP to take down anything. The article confuses the difference between a sound recording and a musical work, which are separate types of copyrightable works, often owned by two different entities. It is a common mistake to confuse the two types of works in any context, but it is especially important not to do so in the context of infringement analysis and defenses to infringement. Importantly, the application of fair use principles and other defenses to infringement, like lack of substantial similarity, may and often do produce different results for uses of musical works versus similar uses of sound recordings. Personally, I think this is a shame, but it is currently the case and should be accurately reported. Ali Stenburgâ€™s article at http://www.project-disco.org/intellectual-property/040913-can-you-infringe-copyright-in-six-seconds/ accurately relays what types of works were at issue in several of the lawsuits referenced in the article. However she too confuses what type of work was at issue in the Prince/Vine takedown. The takedown was filed by Princeâ€™s record label, the owner of sound recordings, not his publisher the owner of his musical works. By contrast, the infamous â€˜dancing baby caseâ€™ Lenz v. Universal, involves the musical work and thus Universal Music Publishing is the relevant copyright owning party in the case. NOTE for those who may be interested, it seems the U.S. Copyright Officeâ€™s recent push for copyright revision includes the possibility of enabling users, of all types of works, to seek fair use opinion letters from the Copyright Office prior to or after their use. Such opinion letters would, I believe, be shown deference by courts, with regard to the specific uses addressed. Additionally, the cumulative result of such letters could be that the people collectively may know more about the boundaries of fair use and whether a particular use they are engaging in would prevail in an infringement suit (and copyright owners would probably not sue if the cumulative results indicated that suing would not produce a win). Finally, no six second rule exists for fair use or any other defense to infringement, and likely there never will be such a rule. While using a six second clip of a three minute sound recording may be very strong indicator toward fair use, using six a second clip of a half minute sound recording would, all else equal, be far less likely to be considered a fair use. This is rubbish. There is no ‘6-second rule’ for music sampling. If it’s your creation, you can sue someone who uses it without permission, regardless of its length. Please don’t interpret law court decisions with only a rough knowledge of their considerations. The most common samples used in hip-hop are mostly less than 6 seconds and the original creators definitely got paid (eventually!). Chilling effect? Not for the real artists who make the original. Watching people pirate your stuff is chilling to the real musicians and lyricists. Get a clue. Without them, these guys are nothing.